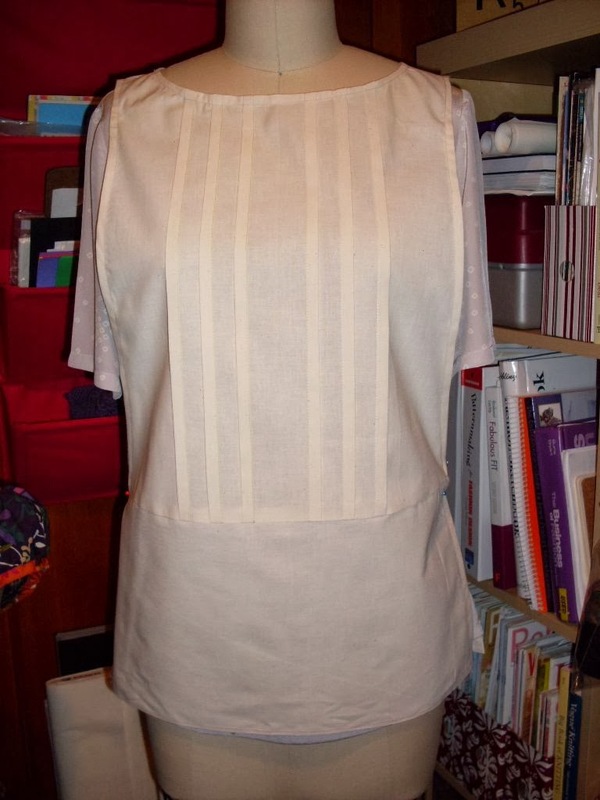 Here's the muslin I just sewed up for the gauze vest from the Homspun Japanese pattern book. I wanted to sew up a muslin prior to cutting up my Liberty fabric just to make sure it would be something that I liked. And the verdict is a thumbs up! I didn't take the time to sew in the casing or the ties on the muslin, but I think those will be cute details. This should be a quick project once I get the fabric cut.